Medical Ministry International first travelled to Colombia in 2004, under the leadership of Willie and Janice Hunter and at the invitation of Antonio and Ruth Cortes and the Iglesia Cruzada. 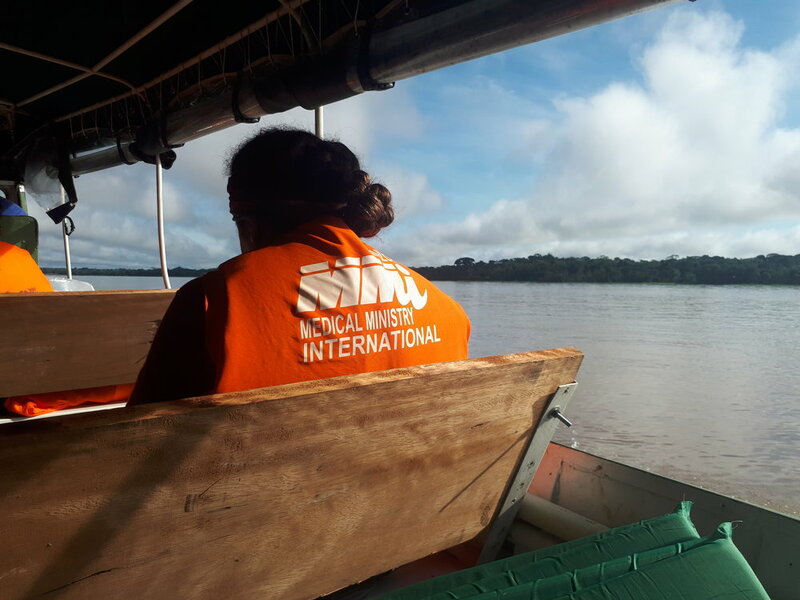 Due to the remote Amazon regions, Medical Ministry International teams typically provide medical, dental, audiology, and preventative health education for the Indigenous persons in these areas. Juan Alan Muñoz was born in 1972 to a Colombian father and an Irish mother, who were called to be missionaries in the Amazon jungle of Colombia. Juan Alan studied Economics at university in Northern Ireland and Finance in Bogotá, Colombia. He has been working in the area of business administration in the health sector of Colombia since 1996. He began serving with Medical Ministry International as National Director of MMI Colombia in 2004 and as CEO of Clinica Leticia in 2013. He is a father of three children: Juan David, Andres Felipe, and Isabella, who also help Medical Ministry International. Juan Alan spends his time between Bogotá and Leticia, always with a cup of coffee in hand. Juan Alan and his wife, Leonor work closely with Medical Ministry International in planning the projects in the Amazon Region and other areas of Colombia. The Yavarí River Amazon Project teams deliver primary care and dental services in a 200 km radius around Leticia, Colombia. 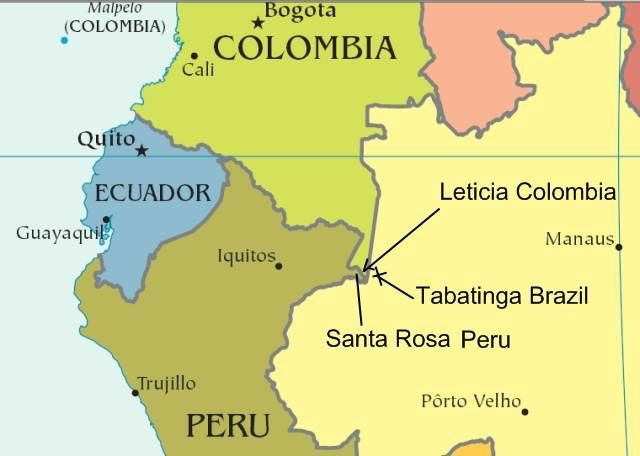 Leticia is an ideal location to serve patients from three different countries: Brazil, Colombia, and Peru. Medical Ministry International supports Clínica Leticia, which serves 80 emergency and 120 medical patients daily, as it increases capacity to serve the region. Each day our teams travel down the river and set up clinics in local rural villages. Although it is not physically demanding, Yavarí River Amazon projects are considered an extreme project due to basic lodging accommodations and elevated exposure to certain diseases. If you have a servant’s heart and an adventurous spirit— join us and experience the Amazon! We are happy to have the new member “Rick Skinner” join “Survivor I.” This is a tribute to a man who came to Colombia 16 years ago and began this journey of showing Real Love, Real Life to the people of Colombia. Medical Ministry International has formed an alliance with a clinic in Leticia (Clínica Leticia) where a moderate level of health care can be provided such as surgeries and deliveries. In the Amazon region, many patients are transported weekly to Colombia’s capital, Bogotá, due to lack of advanced medical machines and specialists. Clínica Leticia is working to upgrade its facilities to reduce the number of air transports. In some villages, there may be a person with basic medical training, but their resources are usually extremely limited. Many times there is no medicine available. Therefore, the villagers wait until they are extremely sick before even considering getting medical attention. The other factor that affects the villagers is distance: often health centres are far away from their village and the cost of gasoline is too high to afford transportation. With a $75,000 grant from Stronger Together, Medical Ministry International partnered with Eve Medical to pilot a HPV screening program for women in remote communities along the Colombian Amazon and tributaries using new Canadian medical technology. Women that carry a high risk HPV strain are susceptible to cervical cancer, the most frequent cancer in this population. By testing for common STIs, Medical Ministry International also identifies and ensures treatment for women who may experience infertility, ectopic pregnancy, miscarriage, preterm delivery, or health risks for their newborns. Results are collected and tracked by MMI Amazon staff. The women with positive HPV results are transported and connected to a follow-up program executed by Dr. Gutierrez, the gynaecologist at the Medical Ministry International partner health center, Clinica Leticia. Dr. Javier holds a Masters in Epidemiology and has 20 years experience in the Amazon. Each woman will receive additional diagnostic care, specialized treatment, and if necessary, surgery and cancer treatment. The cost of treatment provided by Clinica Leticia will be government-funded. MMI Amazon has successfully bridged this gap in the Colombian health care system by identifying patients on Medical Ministry International medical teams who required advanced follow up from Clinica Leticia. In the Amazon Region, Medical Ministry International serves three countries: Brazil, Colombia, and Peru. Road access is not available in this region; only river and plane. Because of this, if a Brazilian needs medical care, for example, they must travel by boat up to six or seven days to Manaus. Peruvians must travel three to four days up to Iquitos. Colombians must take a plane to Bogotá. The Yavarí River region is inhabited by Peruvians and Brazilians belonging to the Ticuna tribe. These people live in communities that range from 80 to 600 people, and each village has a leader that works with a small council. The large families live in wooden homes and have a chakra where they farm and cultivate land for their living. Healthcare access is supported by outreach programs with Clínica Leticia and MMI. * Project Description: Yavarí River, Amazon project teams will join forces with Clínica Leticia. The team usually stays in tents and travels by boat to seven villages. The primary goal is to provide physical, spiritual, and emotional care to the Indigenous populations. In each village we often see 150 patients, or cover 50% of the villages need. Travelers are required to have a valid passport for the duration of their stay. Travel visa is not required. • Americans: Click here for information found on the US State Department website. • Canadians: You will be asked to fill out a form for a TOURIST visa at the Bogotá airport. Canadians must pay a Colombia Reciprocity Fee - Effective December 1st, 2014, Colombia began charging a reciprocity fee to citizens of Canada arriving at an airport in Colombia. Travelers to Putumayo, Meta, Gorgona (Cauca), Tayrona National Park (Magdalena), and Caquetá must produce proof of yellow fever vaccination, as it will be required by airlines for flights to these departments. • Airport: Vasquez Cobo airport in Leticia (LET) via El Dorado International Airport Bogotá (BOG) on one continuous ticket. We strongly recommend that you consult a travel clinic, as they are aware of outbreaks and can suggest preventative immunizations. Specifically, inquire about malaria prophylaxis. All routine immunizations should be up-to-date. Please check the following website for the most current information. The team will be sleeping in tents inside a school or house. While on the river, bucket showers or bathing in the river is common. Electricity is available only from 6-10pm. It will possibly be muddy or rainy, so waterproof boots and jackets are recommended. • Voltage: 110V/220V, depending on village. Extreme Amazon: The goal is to provide delicious and balanced meals, but there are times when refrigeration is not possible; so, local food from each village like fish and jungle meat (such as crocodile) is served. Vegetables are not easy to come by in the jungle. The money in Colombia is called the Colombian Peso (COP). MMI staff will help you exchange money. All major credit cards are accepted in Colombia. Visa and MasterCard are the most commonly accepted. You must bring US dollars in good condition - torn, stamped or old bills will not be exchanged. Also, $1 bills are not useful in Colombia; they are exchanged for less than other bills. $100.00 bills that are older than 2006 or start with the series CB are not accepted. The Amazon is an incredibly unique place. It is the world’s largest rain forest and river system, and the most biologically diverse place on Earth. The Amazon contains millions of species, most of them still undescribed, and some of the world's most unusual wildlife. It is one of Earth's last refuges for jaguars, harpy eagles, and pink dolphins, and home to thousands of birds and butterflies. Tree-dwelling species include southern two-toed sloths, pygmy marmosets, saddleback and emperor tamarins, and Goeldi's monkeys. The diversity of the region is staggering. More than 30 million people, including 350 indigenous and ethnic groups, live in the Amazon and depend on nature for agriculture, clothing, and traditional medicines. Most live in large urban centers, but all residents rely on the Amazon’s natural bounty for food, shelter, and livelihoods. A vast region that spans across eight rapidly developing countries: Brazil, Bolivia, Peru, Ecuador, Colombia, Venezuela, Guyana, Suriname and French Guiana, an overseas territory of France.